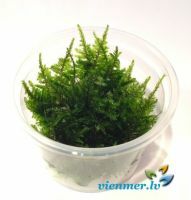 Live aquatic plant sold in pot. 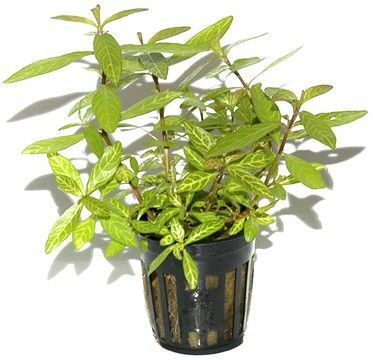 Hygrophila polysperma 'Rosanervig' is normally an undemanding plant. 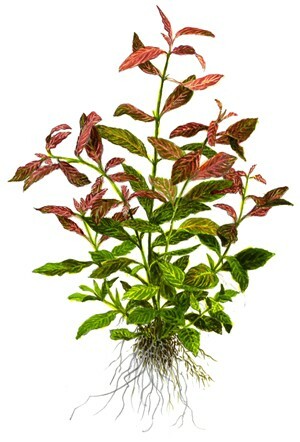 But if you want deep-pink leaves you must provide intensive light. 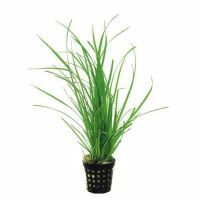 Stems becomes 20-40 cm tall and 5-8 cm wide. The distinctive colouring of the light leaf ribs is probably caused by a virus which prevents chlorophyll from being produced in the cells around the leaf ribs, making them white. 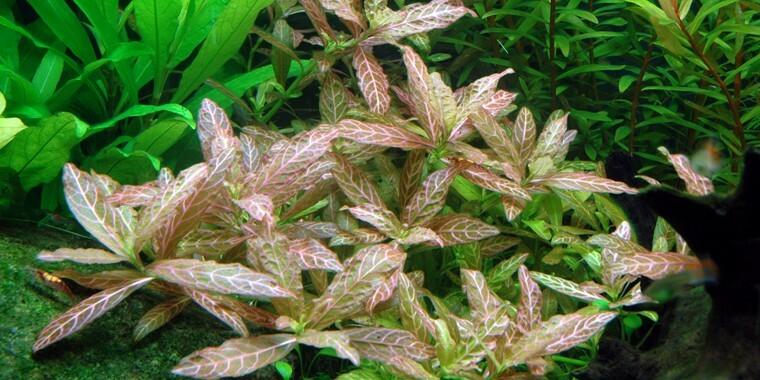 However, this virus does not affect other plants in the aquarium.